Hi! 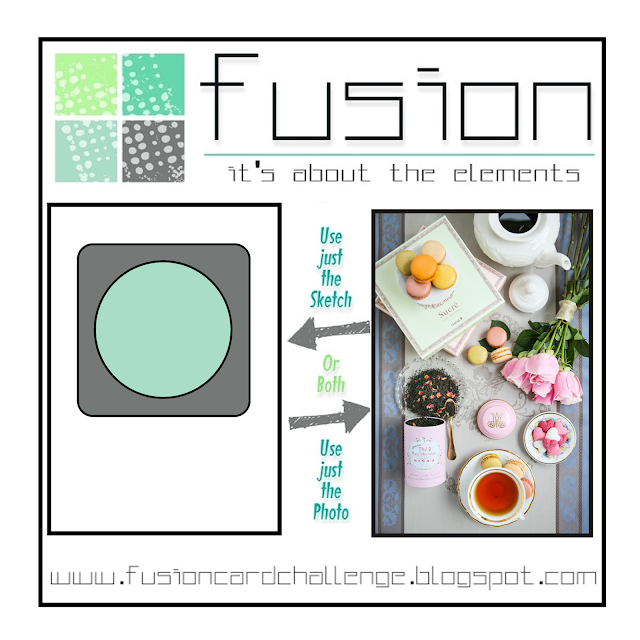 It's time for another fabulous challenge over at Fusion and this time we have a bright and cheerful challenge headed your way! First up I'll show you my card, which was a fusion of both sketch and photo. And here is the challenge graphic. You can see I focused on the bouquet of flowers in the photo. I colored up several of the images from Winnie & Walter's In Bloom: Addie's Garden set, which is one of my favourite floral sets. Once the images were colored and die-cut, I arranged them into a bouquet and used Press 'n Seal to hold the bouquet in place while I worked on the rest of the card - which was pretty simple! I found some cardstock that most closely matched the pinks in the flowers and die-cut it with a rounded square die before adhering it to a white card base. Before I added the bouquet, I stamped the sentiment from a Gina K set, which is fast becoming a favourite for caring sentiments. Finally I added the bouquet and some Nuvo Jewel Drops and set it aside to dry. Here are the Copics I used to color the images. Thanks for visiting! 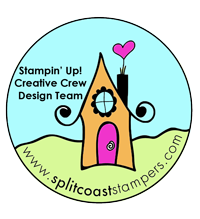 I hope you'll check out the amazing cards created by the rest of the design team. 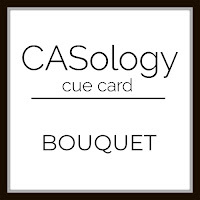 I'm linking this card up to CASology who have a Bouquet cue card this week. Oh those pinks and greens are gorgeous! Beautiful bouquet! such a beautiful card, Karren - love it!!! That bouquet would totally be my target, too, Karren! a really lovely card, my friend! Makes me wish for a bouquet of tulips of my own! Press n' Seal has served you well, Karren...Gorgeous bouquet of flowers and fabulous take on the sketch! Karren, these florals are absolutely gorgeous!! I keep telling myself I don't need more flowers but you are making it very hard to resist! Don't you just love Press 'n Seal?! It's such a game changer to keep multiple smaller stamps together! Beautiful blending on your flowers! Thanks for playing along with us on the CASology Challenge blog. Such a beautiful bouquet, Karren! I love your design using the sketch, and it's the perfect "feel" of the flowers in the photo! Just spotted this over on the Fusion blog, and had to come and tell you how gorgeous this is!! What a lovely bouquet! Such beautiful soft colors.